The Barbican is one of the largest and most prolific arts centres in Europe so not suprisingly it has a great Creative Learning team and a myriad of opportunities for folks of all ages to have a go or develop serious skills in Music, Theatre, Film, Visual Arts, Dance and Literature. The Film work has always been our favourite and now they’ve teamed up with the giants of UK film, the British Film Institute, to deliver one of the BFI Film Academy 2013/14 Network Programmes for 16-19 year olds. Level of Experience Required: This is one for folks who are really keen! They are looking for “enthusiasm, determination, a genuine interest in film and a willingness to learn.” Given the level of instruction and potential to develop beyond this project, it might be useful to have a small insight into one or more areas of filmmaking but nowhere does it say you have to have loads of experience and skills. – Get to work with filmmakers to make your own short film. – Learn skills from professionals in workshops. -Take part in a series of masterclasses with industry experts giving insights into how to get in to and succeed in the film industry. – Receive a free pass to the Framed Film Festival: see films and attend BAFTA events with filmmaking professionals. – Apply for a mentor scheme run in collaboration with the London Film School. 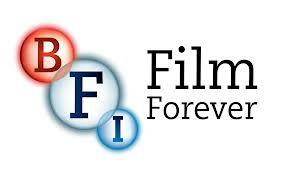 Cost to Participants: The cost to participate in the BFI Film Academy delivered by the Barbican Centre is £25. But if you will struggle to pay the course fee, don’t be put off as you will be able to indicate this once you are accepted on the course and this fee can be waived. Bursaries will also be made available for participants if you require assistance with travel, child care or other costs. How to sign up/apply: Fill in the form downloadable on their website (we’ve got it for you here: Application form ) and return to naomi.kerriganasress@barbican.org.uk – you can also email with any questions you have when filling it in, or give them a call on 020 7382 7049.